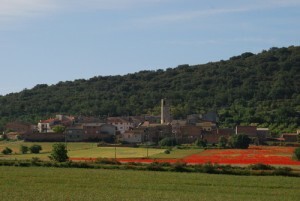 Vilanova de la Sal, originated private medieval village founded half a century XII. In the mid-fourteenth century, the population began to settle on land to cultivate simple, making the core of Vilanova private private and ended in ruins. They preserved remains of the church of Santa Margarida deprive you can visit. Of the whole ship is standing in the church dedicated to Santa Margarita and a piece of the spiral staircase leading to the tower. 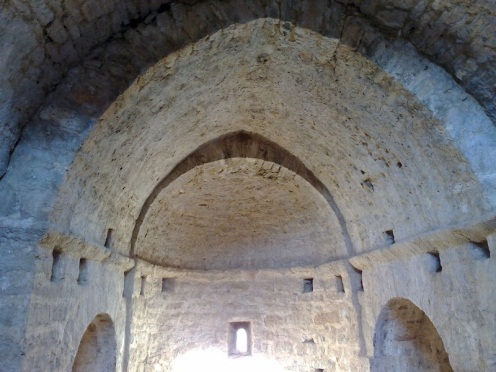 In the middle of the village, you will find Romanesque church of Santa Maria de Vilanova where you conserved between 1906 and 1967 the remains of the counts of Urgell, temporarily relocated the monastery of Santa Maria Bellpuig de les Avellanes. 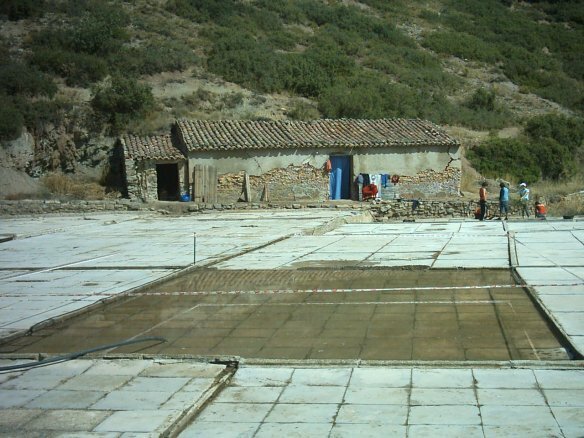 From time immemorial the people Vilanova de la Sal, stocked resource for the survival of Salinas residents, in addition to the fresh water that flows from a source known Fontdolç. 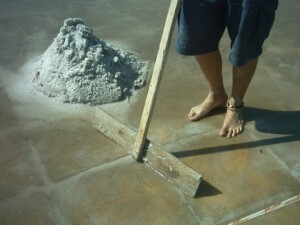 The fortune of salt brought out of the change of name of the municipality that was originally created as to deprive Vilanova. For more information please visit: lessalines.blogspot.com. Very close to the apartments Cal Ribero (10 minutes drive), find a quiet, simulating a beach where we will enjoy fresh water marsh Camarasa, we see the nature that surrounds us and refreshed. To get there you must follow the road LV-9045, until we reached the swamp. Before the road reaches the dam, you’ll find a stone path to the right that you will have to walk or bicycle to reach the beach in Vilanova de la Sal. 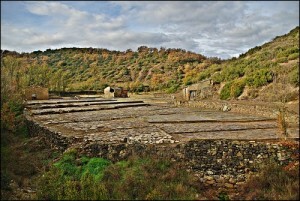 From the village of Vilanova salt, take the trail that climbs to the hermitage. You will find the road out of the town indicated opposite apartment. It is a route that can be done on foot or bicycle, of moderate difficulty, we will find steep slopes because the chapel is located at the top of the mountains of Montroig. Let us unbeatable views of Vilanova de la Sal, plain and Balaguer Camarasa reservoir, so is also known under the name Walnut viewpoint. This tour lasts approximately 50 minutes. You can also visit the shrine along with other attractions and activities in the area through guided tours. Find a www.ascalfo.cat. From the village of Santa Linya (a ten minute drive from Cal Ribero), find the track that will lead to the balcony Santa Linya. After a 4.5 km route. (60 minutes) reach a cliff where you can enjoy unbeatable views of the valley and the mountains that form part of the Montsec and the Catalan pre-Pyrenees. Although it is a path of moderate difficulty, it should be noted that at the end of the road is a steep slope to reach Balconet. 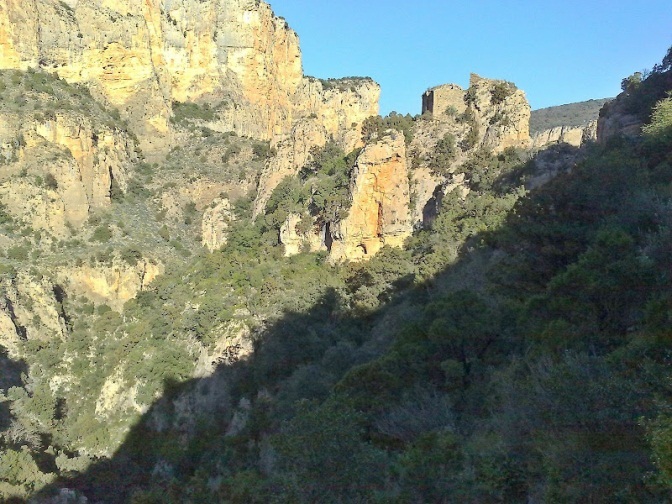 If you want to continue route from the balcony Santa Linya can continue to route high difficulty due to its steep slopes of approximately 3.5km. 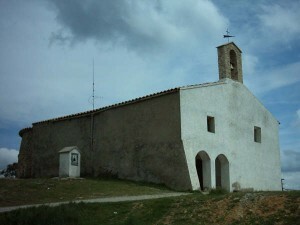 Impressive for its location, the church of San Pedro is located atop a rocky outcrop located in the ravine of Sant Pere is the name. Due to its characteristics typological and constructive part in church architecture formulas Lombard and style of other churches in the region can be considered a work horse scaffold century XI and XII. Other hiking trails by Montsec to the official website of the Regional Council of La Noguera, among others, will find more information on routes of all levels of difficulty: www.ccnoguera.cat/nogueraturisme. We highlight the most interesting and nearby apartments that are home to the Monastery of Les Avellanes, located 5 minutes from Cal Ribero and find an information panel on the routes. – Route Vilanova de la Sal (10.6 km) bordering the town of Vilanova de la Sal by cultivated fields until the Monastery of hazelnuts can take a stroll simple little difficulty and for the whole family. 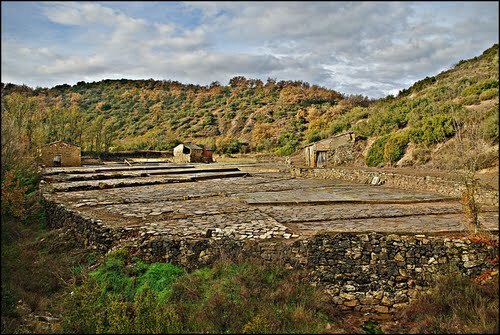 – Forest Monastery The countersink (2.62 km): the large area surrounding the Monastery of Les Avellanes forest guards typically in our region. This route is simple and accessible to everyone. – Forest Scissors (8.24 km) from the Monastery of hazelnuts before us the path through the forest of scissors. It is a route rich in diversity of flora and fauna typical forest Noguera. – Route of Balaguer (15.6 km) from the Monastery of Les Avellanes can direct us to the village of Os de Balaguer a nice and easy way. – Forest and private castle (20 km) from the Monastery of hazelnuts is presented more complex route also enjoy a walk in the woods and deprive the ruins of the castle in the most high hill. 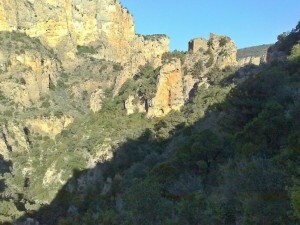 If you want to continue the path, we reach the swamp Camarasa (27 km). · Festival Vilanova de la Sal, August. Every February 3, from ancient times, the people Vilanova de la Sal, celebrate the Holy Congregation None. This meeting is up to the hermitage of San Cap, celebrated a Mass with singing of Joy dedicated to the saint and a snack fellowship. The celebration consists of an outdoor Mass (before the church). 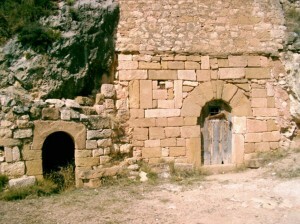 Afterwards, attendees who wish gathered in groups of friends, share lunch at the source of Fontanelles. Note that some of the attendees take advantage of this meeting to make a trip up to the foot, bicycle or even on horseback.